Innovation has been changing the world of beauty products for quite some time now. Today's collection of gemstone and mineral-infused skincare products created by the manufacturers of Sjal offer revolutionary formulas designed with the premise of healing, cleansing, and softening the skin using a blended combination of eastern medicine, precious minerals, eco-ingredients, prized gemstones, and the principles of bio-technology. The full line of Sjal products is the brain child of a mother-and-daughter team who were searching for a way to provide skincare regimens featuring simplicity and effectiveness. Utilizing a goal of designing beauty regimens with a minimal number of formulas, they began to research ancient medicines, combining their ideas with modern biotechnology in order to create simplistic solutions for specific skincare needs. See our Q&A with Kristin Petrovich, Co-Founder of SjÃ¤l. The innovative formulas of Sjal products utilize a bevy of skin-balancing ingredients, each of which offers unique benefits that help to restore the natural beauty of the skin with minimal effort. Infused with the bio-osmotic energy offered by precious gemstones and minerals, these products provide high performing formulas that feel good, work well, and deliver on their promises. Incorporating the knowledge provided by Eastern medicine (Chinese Tibetan Ayurvedic) as well as homeopathic vibrational medicine into skin care formulas has led to a variety of innovative products that offer simplistic strategies for healing, rejuvenating, and maintaining beautiful skin. The founders of Sjal are proud to be able to deliver luxury beauty care formulas that ease the ability to clarify the skin while evening out pH balance to normal range. Incorporating precious minerals and gemstones into their formulas is an innovative move that has enabled them to provide a wide variety of new and exciting formulations, each of which is designed to gently infuse the skin with healing, regenerative effects. With an end goal of diminishing the visible signs of aging in order to bring out a fresher, more natural look, Sjal skin care formulas offer multiple capabilities. They include globally sourced active ingredients to enhance the efficacy of the products, while constantly incorporating each new twist of cutting-edge technology they discover into their skin care solutions. Due to the delicacy of the human skin, many of the formulations available from this brand are lightweight in consistency. Firming masks firm the skin as they tone it, and tonics purify and energize the skin with refreshing hydration. Daily creams infuse fresh hydration that restores the beauty of the skin. Anti-aging serums and face oils reduce the visibility of the maturation process by restoring some of the skin's natural elasticity. 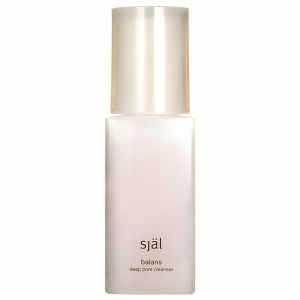 Sjal strives to be your one-stop source for all things related to quality skin care. By fusing traditional Eastern skin care and alternative medicine with Western biotechnology, Sjal products offer a simple but holistic regimen that benefits all skin types. Created by a team that includes research scientists, nutritionists, herbalists, biologists, and spiritualists, Sjal products harness the healing and regenerative properties of precious minerals, such as silver, gold, and platinum. Microcirculation is boosted and skin clarity improved through the energy boosting properties of gemstones such as ruby, aquamarine, citrine, amethyst, sapphire, and diamond. Purity and efficacy are keystones of the Sjal philosophy. Only the highest-graded pharmaceutical ingredients find their way in to these potent formulations. Clinically-proven ingredients are sourced from across the globe. The ability to constantly evolve and improve means that the researchers and scientists that create Sjal Products continue to seek out and utilize the latest developments in biochemistry and biophysics. The range positions itself as a pioneer in holistic skin care technology, forming a link between the wisdom of the ancients and the cutting edge of skin care science. You can be certain that your skin will reap the benefits of the past and present, helping it remain young and supple. If you are looking for a simple, contemporary range of clinically-proven skin care treatments, Sjal Products will meet, if not exceed, your expectations. With a minimalist but highly efficacious approach to skin care, these potent formulations nourish and protect all types of skin, leaving it younger, brighter, and softer to the touch. As skin matures, it often becomes dry and dehydrated. 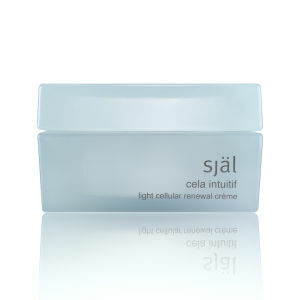 Replenish moisture and vital nutrients with daily applications of Sjal Kura Intuitif Creme . Lines and wrinkles are diminished, hyperpigmentation is reduced, skin is hydrated, and the complexion is brightened. Skin benefits from a powerful combination of active ingredients including kojic acid, arnica, pearl powder, mulberry, bearberry, and marine vascular complex. Energy levels are boosted by gold, silver, copper, and lotus oil. 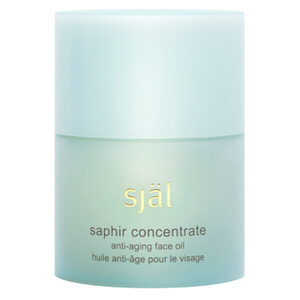 If your skin needs a little extra attention, nourish it with a few drops of Sjal Concentrate Anti-Aging Face Oil prior to moisturizing. Skin is treated to a unique blend of essential oils, including sweet orange peel, jasmine, lavender, bitter orange flower, and evening primrose. Balance and calmness is restored through the healing energy of aquamarine and Himalayan blue sapphire. 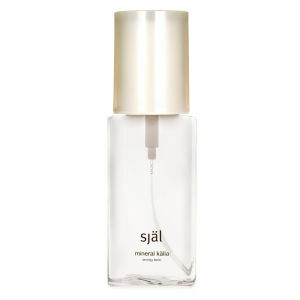 You can give your skin a lift with Sjal Serum 1 Liquid Vitamin Lift . Potent peptides, botanicals, minerals, and gemstones improve the structural matrix of the skin, leaving it firmer and more supple. Stressed skin is calmed, soothed, and strengthened by increased oxygenation. Apply a few drops of this powerful, weightless serum to cleansed skin every morning and evening. It can be used alone or under a moisturizer.